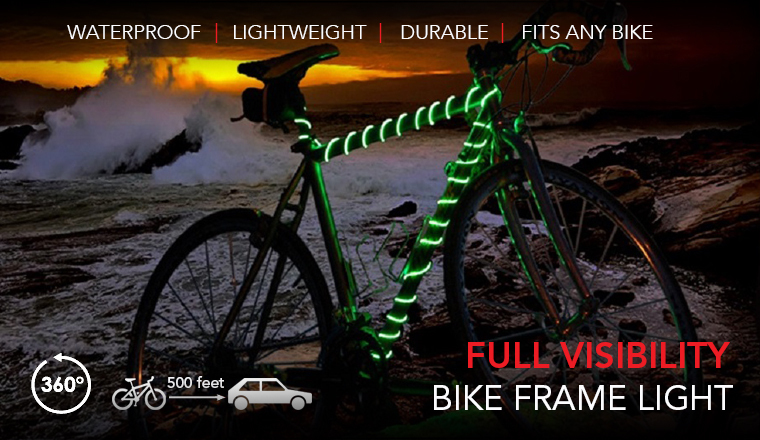 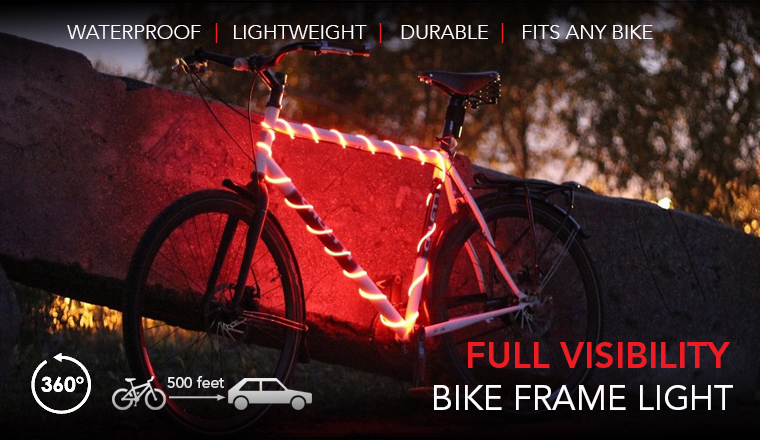 BikeGlow Is The Fun Way To Light Your Bike! 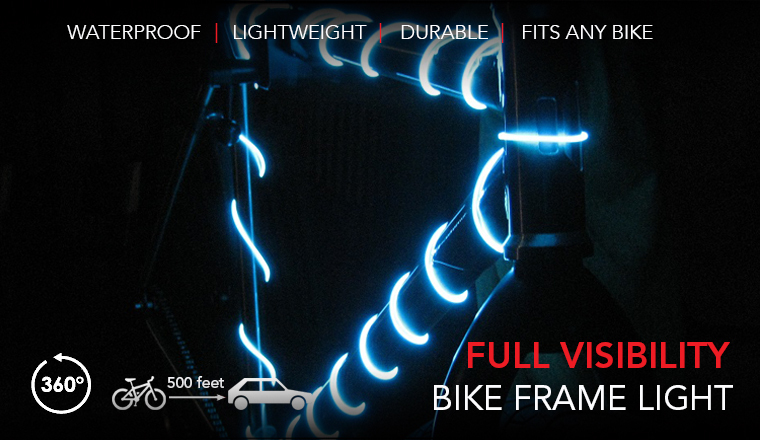 The BikeGlow Safety Light provides 360 degree biking visibility from up to 500 feet away. 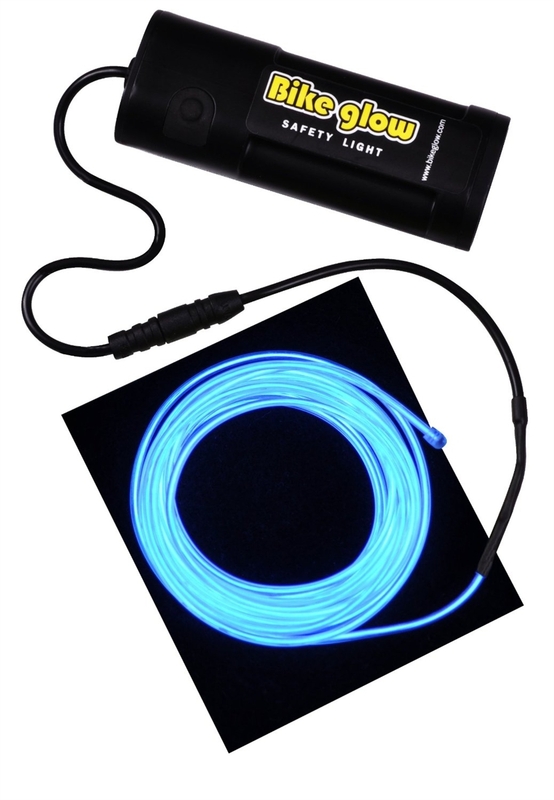 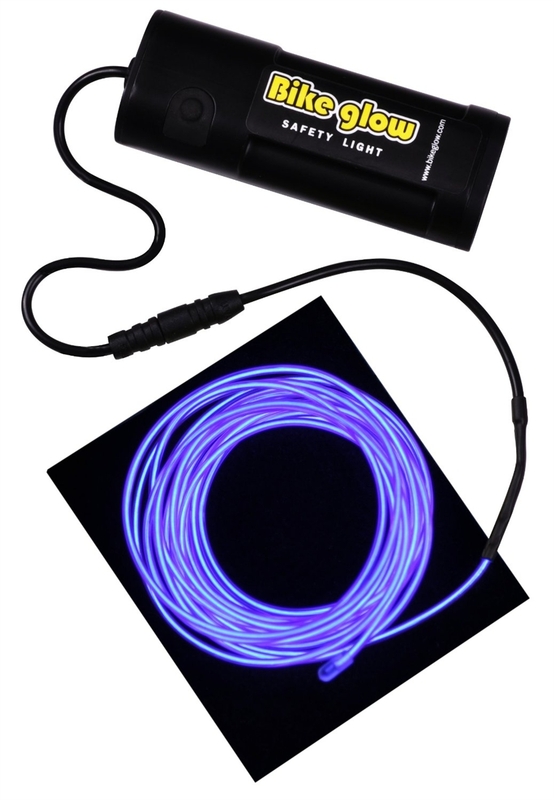 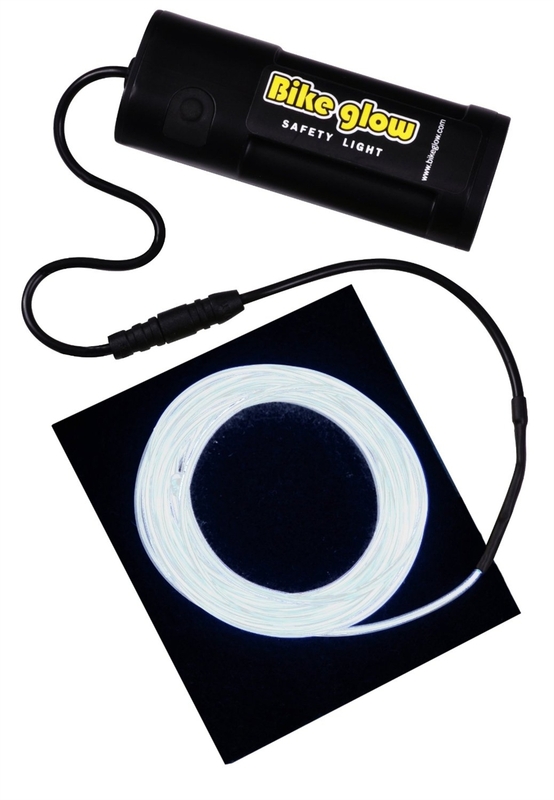 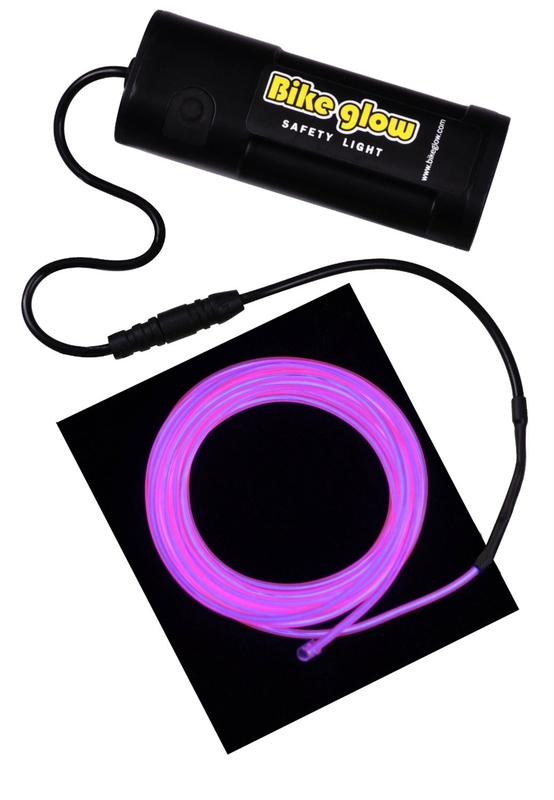 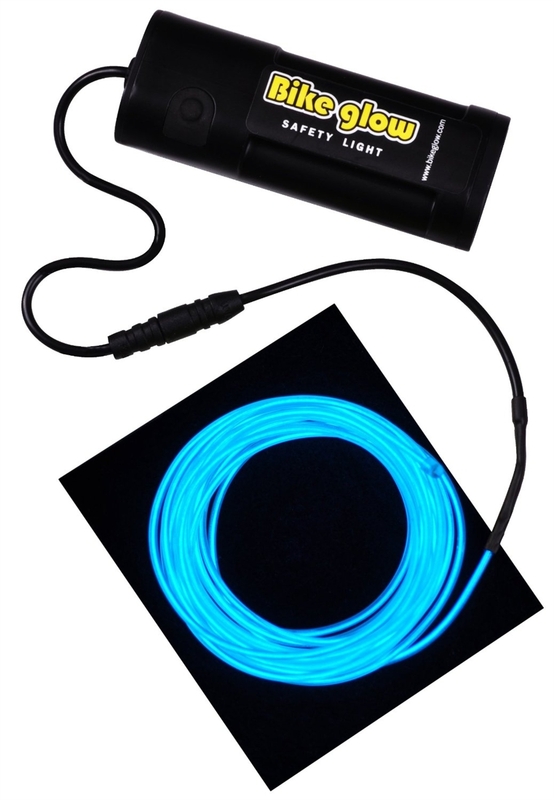 Running on 2-AA batteries, the BikeGlow Safety Light is a 10 foot flexible, waterproof glowing wire that securely attaches to your bike’s frame. 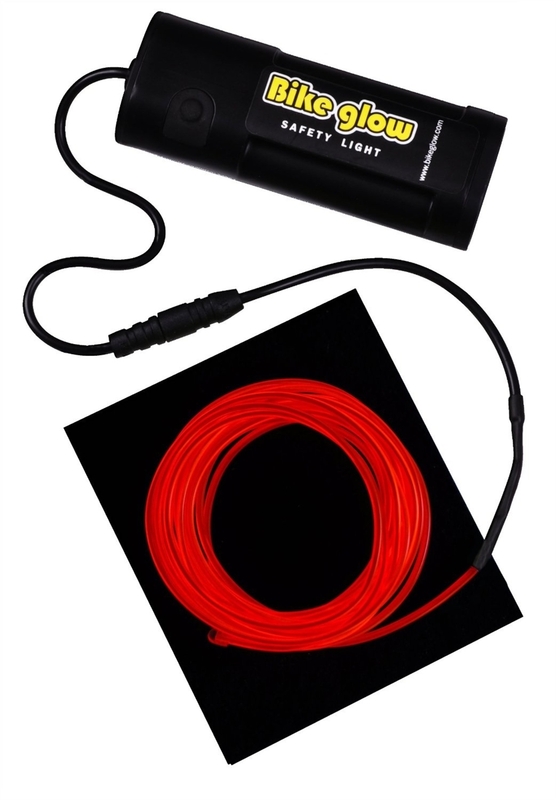 It features three lighting modes: Steady, Slow Flash, Fast Flash. 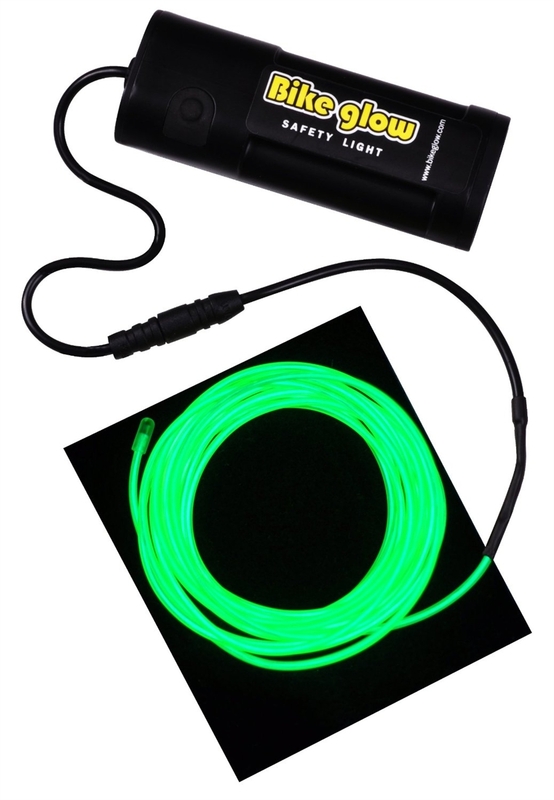 So whether cars are behind you, in front of you, or coming from the side, you remain highly visible and much safer! 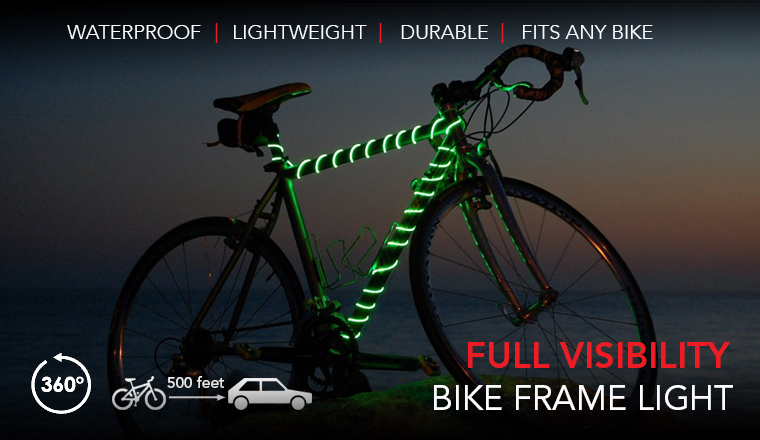 Free shipping on orders of three or more Bike Glow Safety Lights. 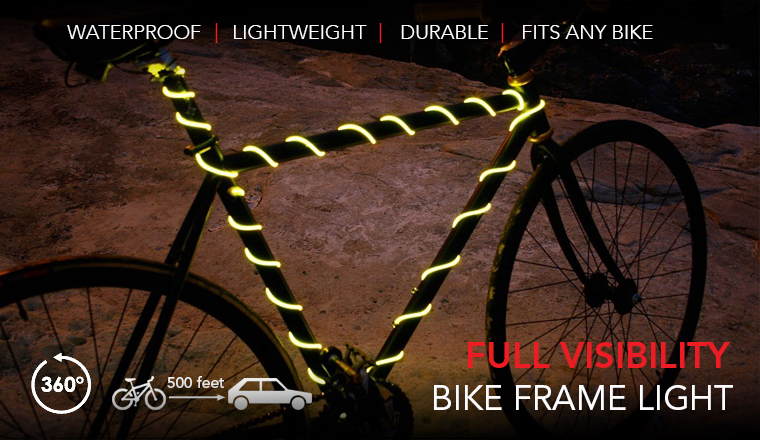 Only valid within the continental United States.